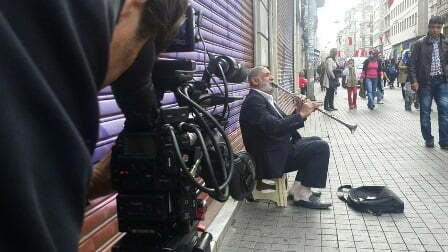 Over the years, Istanbul has lured many foreign film production teams, by offering them unique locations to create an orientalist atmosphere that Western audiences love to see on the big screen. This includes Ian Fleming’s, charismatic and dare-devil agent 007, who on his quest to fight evil is often led into the chaotic environment of Istanbul. His last film, Skyfall also featured scenes in the Mediterranean Turkish resort of Fethiye, and considering Skyfall was the highest grossing film in the history of the UK Box Office, some Turkish fans are disappointed that the next 24th James Bond film will not feature Turkey at all. A recent press release verified the next James Bond movie will only be filmed in London, Rome, Mexico, the Alps and Morocco, and not in Turkey. This has surprised people like Mert Gürel, who runs a TV and film production company in Turkey. As an expert in the industry, he emphasises that the Turkish government grants huge benefits to foreign film productions, resulting in them promoting the country, worldwide. Having worked with television commercials of major brands such as Panasonic and Vodafone as well as TV shows Dispatches and House Hunters International, Mert felt sure that the famous British Secret Service Agent would return. His company helps foreign film and TV production teams with red tape issues such as organizing a filming permit in Turkey, sourcing equipment and finding English-speaking crew members. Describing himself as a Turkish art and culture enthusiast, he insists that any big-screen films made in Turkey helps the Turkish travel industry immensely and he was keen to point out the historical friendship between Turkey and the courageous James Bond. Produced in 1963, “From Russia with Love” features Sean Connery as 007, who fights evil among the 1960s era of Istanbul. Scenes in Turkey start with the iconic Hagia Sophia and continue in different parts of Istanbul’s historic peninsula including Basilica Cistern where Bond takes a mysterious underground boat ride. The events lead Bond to visit a gypsy tribe living at the Rumelian Castle and finally end with him boarding the Orient Express from Sirkeci train station to leave Turkey. The film also serves as an important documentary of old Istanbul to realize big changes that have happened over the years. In 1999, 36 years and 17 films later, Pierce Brosnan helms the role of 007 to visit Turkey again in “The World is not Enough.” However, because of a bombing event in Istanbul, the producers prevented the cast members from traveling to Turkey. Instead, a smaller film crew was sent to collect shots of the city while the stars filmed in United Kingdom’s Pinewood studios. One of the key locations in the film is the famous Maiden’s Tower, used as the hideout of the villain. “Skyfall,” released in 2012, is the most recognized James Bond film. 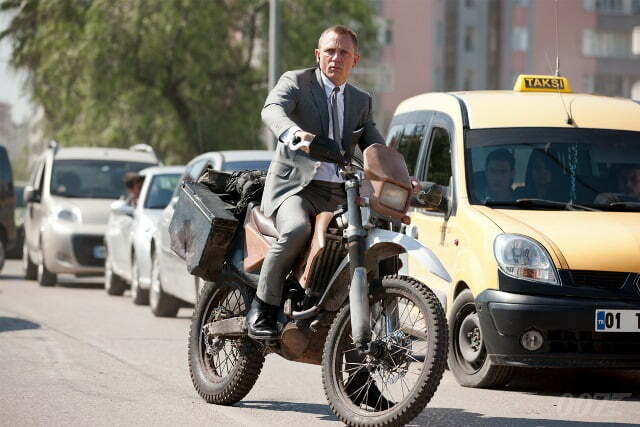 A twelve-minute action packed, opening sequence in Istanbul became a favourite all-time scene for hard-core James Bond fans. The film begins with 007 at the Deutsche Orient Bank building witnessing his fellow MI6 agent being shot. He gets into an off-road vehicle and drives through the narrow streets of the Eminönü district. A big local market, set in Eminönü square for over a week, filmed the first part of the famous motorcycle chasing scenes, which then continued onto the roof of the ancient Grand Bazaar. The next scene focuses on a close encounter between 007 and the villain, on top of a train. Even though it looks like a continuing sequence, the train scenes were actually shot at Varda Bridge, in the city of Adana, in the East of Turkey. The last stop for Bond in Turkey is a beach bar in Çalis Beach of Fethiye. The locals are pictured like the habitants of a tropical island, but that doesn’t stop the Turkish audience from loving the film. Turkish fans often remark on how wonderful it is to watch 3 different 007 films shot in Turkey, by different directors, featuring different lead actors and of course, showing the changing face of Istanbul over the years. Only a few cities except London play a big part in the history of James Bond movies, and Istanbul is definitely one of them. Author Mert Gürel can be contacted via his website Otm. Filmworks or you can keep up to date with his articles on his blog called Fixer in Turkey.